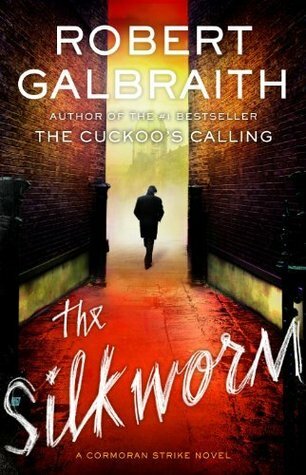 The Silkworm is the follow up novel to the excellent Cuckoo’s Calling, by Robert Galbraith, aka J.K. Rowling. The story starts with private investigator, Cormoran Strike, being tasked with finding a missing husband. Owen Quine has disappeared, and his worried wife hires Strike to track him down, and get him to return home. Quine is an author, and being of a temperamental nature has gone missing before, but has always returned within a few days, saying that he needed to get away because of the stress he was under. As Strike investigates, he realises that this time his disappearance may be for different reasons. Quine has just completed his new novel, which contains thinly veiled attacks on virtually everyone he knows. If the novel ever makes it to the bookshelves, it would have the potential to destroy lives. So, where is Quine? Has he simply took off for a break having completed his latest manuscript? Is he laying low, avoiding those he has attacked? Or has something more sinister happened? The Silkworm takes place in the world of the publishing industry, which is a world Rowling obviously knows well. The book is packed full of typical industry characters, from agents to publishers, fellow authors and fans, and you can't help wondering if Rowling has based any of the characters on people she knows within the industry. Rowling complements her insider knowledge with a great narrative style and, more importantly, a very good story, which has an excellent plot, and some really great character development. The short chapters really push the story along at great pace, and I found myself wanting more at the end of each and every chapter. It’s needless to say, but Rowling kept me guessing all the way to the end of the book, and even when I thought I’d worked it all out, and I was down to a choice of two main suspects, I managed to plump for the wrong one!